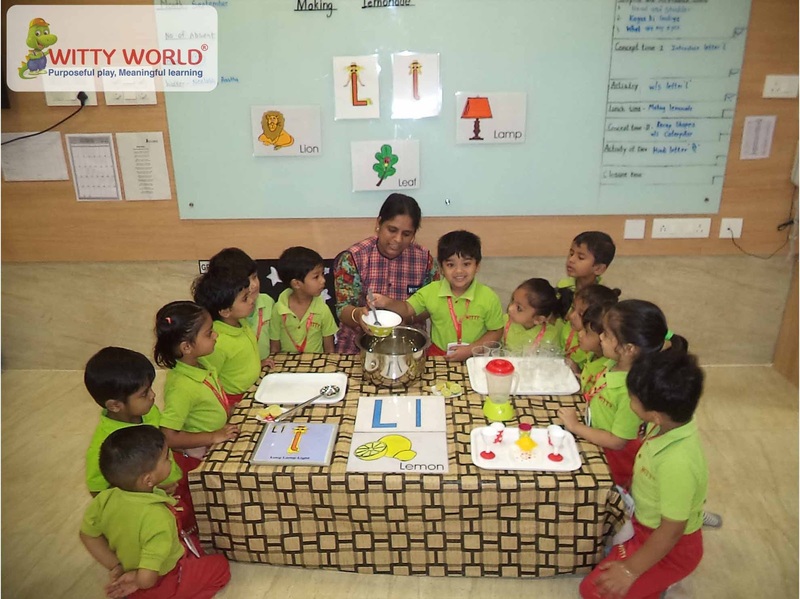 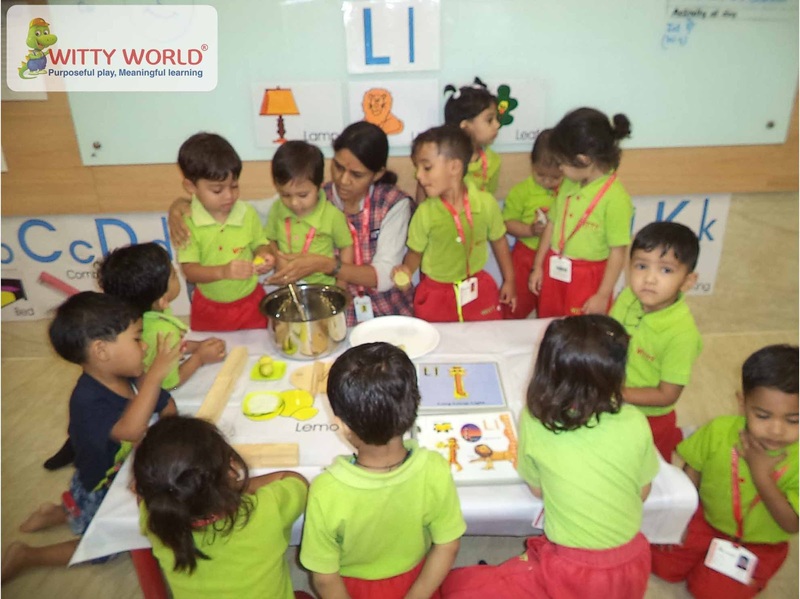 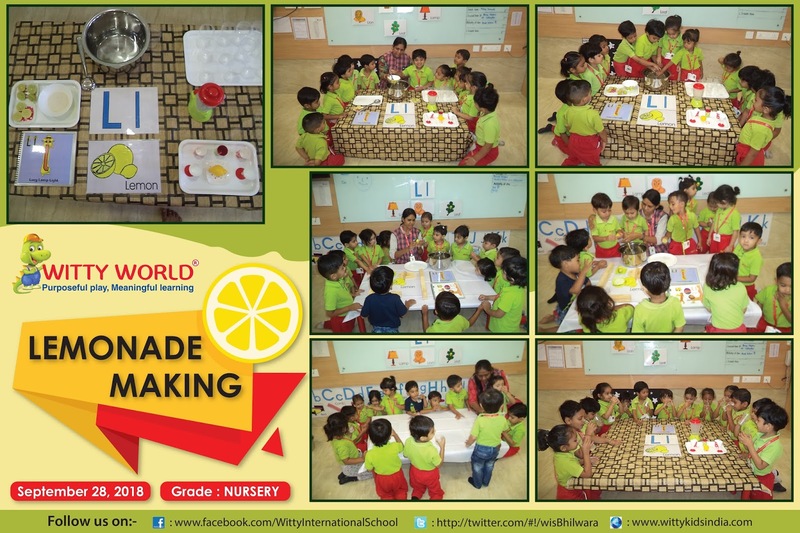 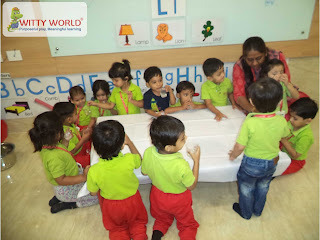 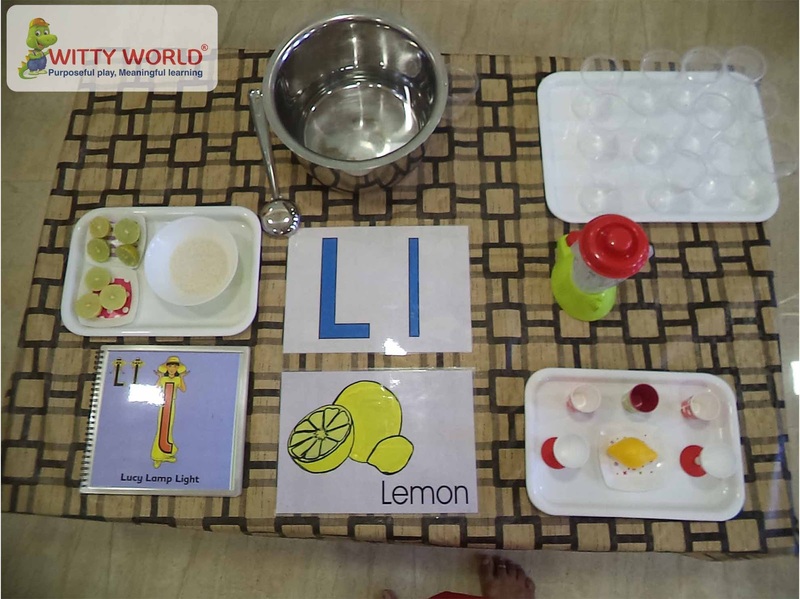 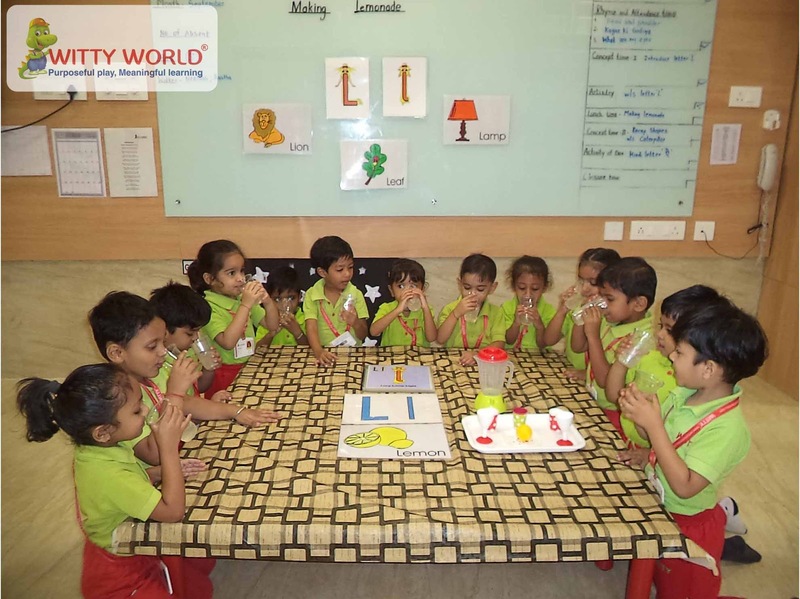 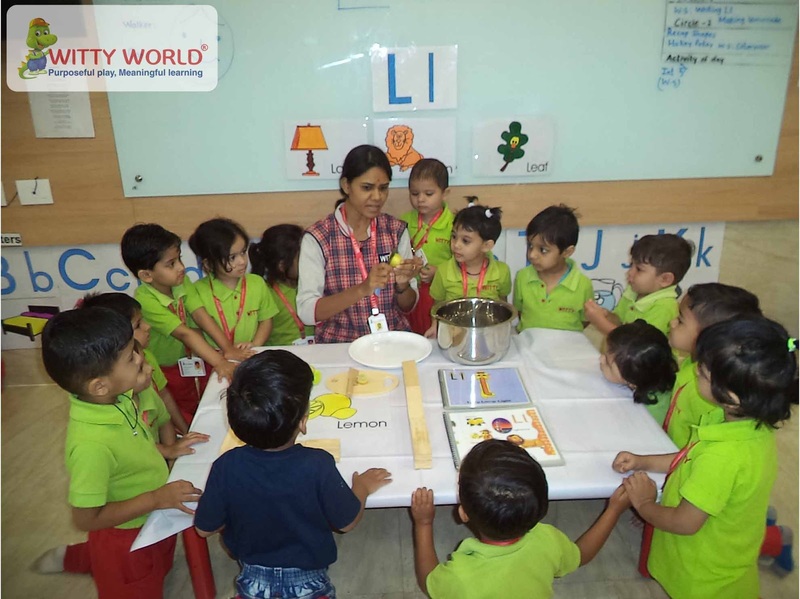 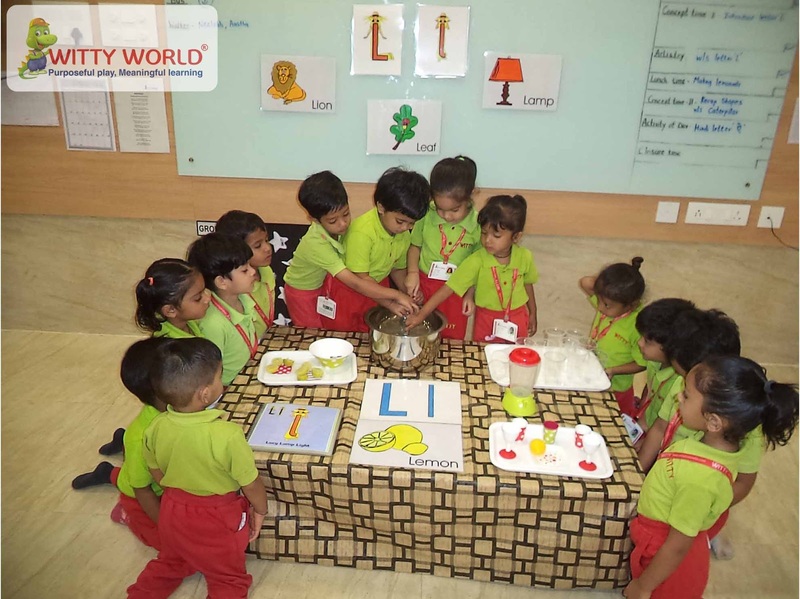 On Friday, September 28th, 2018 the tiny tots of Witty World, Bhilwara enjoyed the hands on cooking experience by making lemonade. Letter “Ll” was introduced using letterland flash cards and objects. Teacher emphasized on letter ‘L’ sound and friends (leaf, lamp, lion, lemon etc.,). 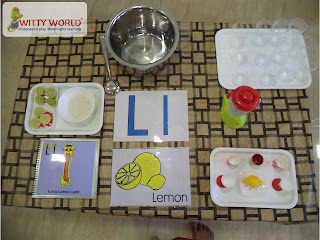 Lemonade making activity created a strong association for the letter Ll. 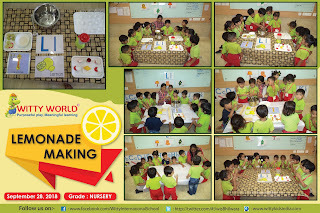 It was fun loving experience for the children and they all enjoyed the yummy tangy sip of the lemonade made by them.